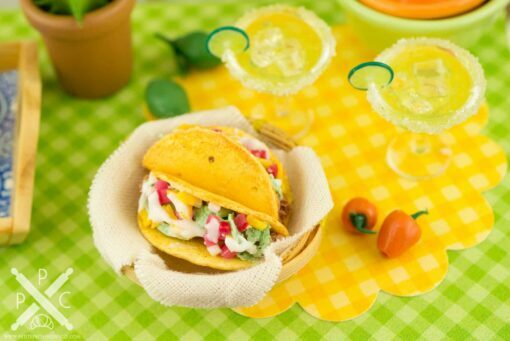 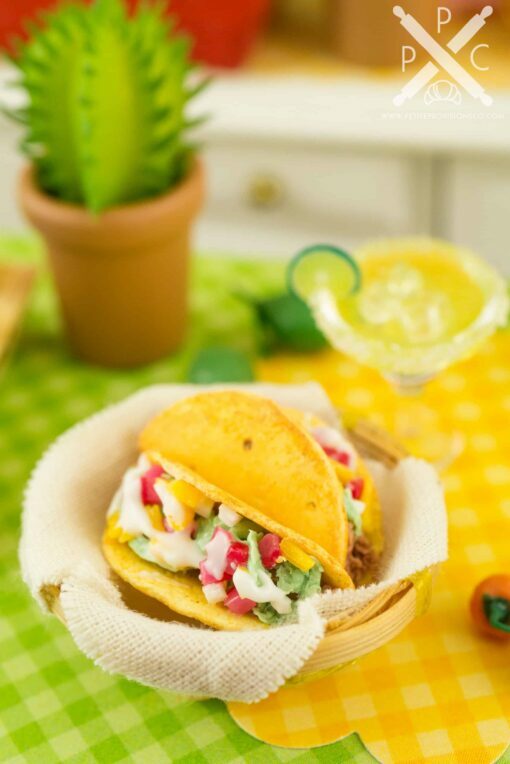 Dollhouse Miniature Tacos and Margaritas Set - 1:12 Dollhouse Miniature - The Petite Provisions Co. Celebrate Taco Tuesday (although, who needs a reason to have tacos?) 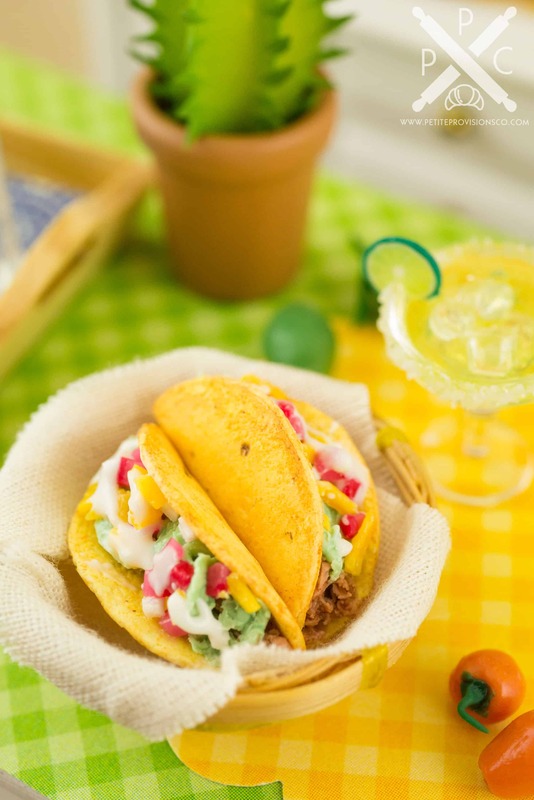 with this basket filled with two hard shell beef tacos and a refreshing side of two margaritas on the rocks! 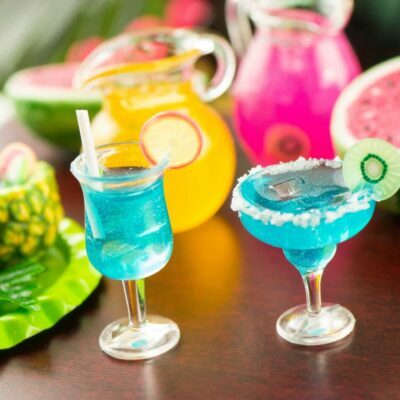 Whether you have a dollhouse or just love all things tiny, this delightful tacos and drinks set is too cute to resist! 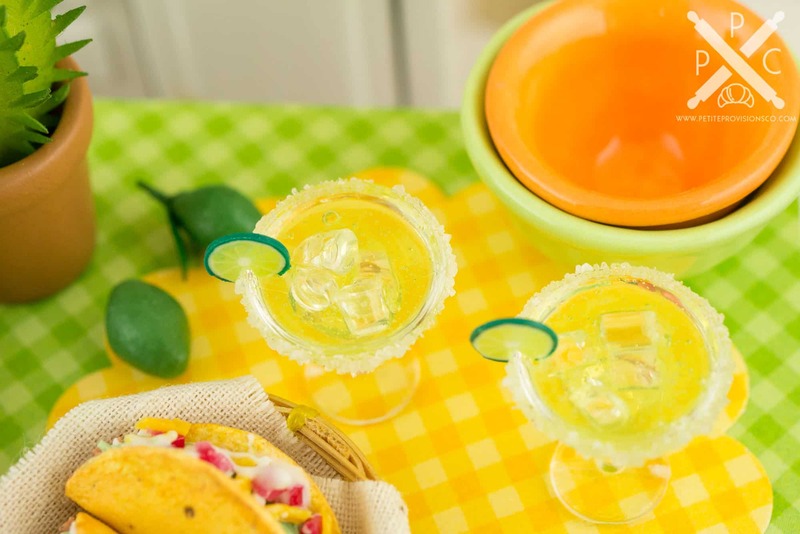 Two hard shell beef tacos with all the toppings in a linen-lined woven basket, plus two salt-rimmed glasses filled with margaritas on the rocks with lime garnishes. 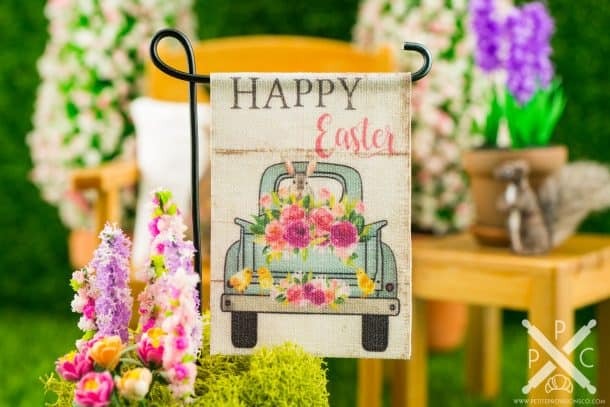 The basket measures approximately 1-1/8″ in diameter and 3/8″ high. 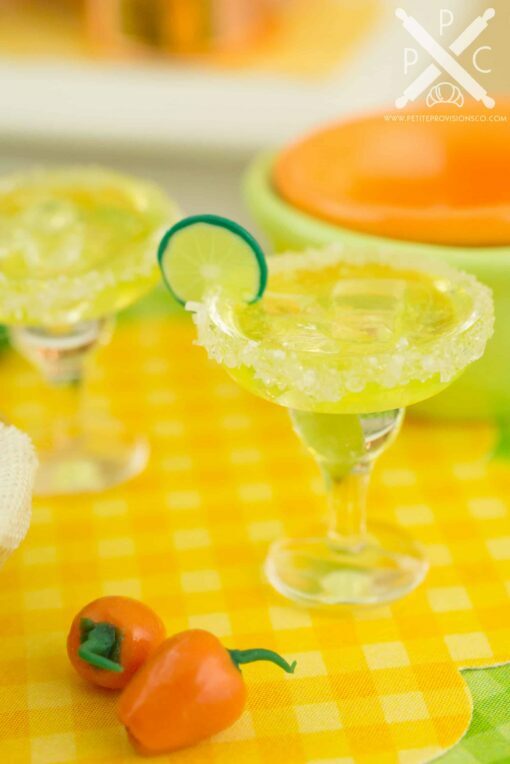 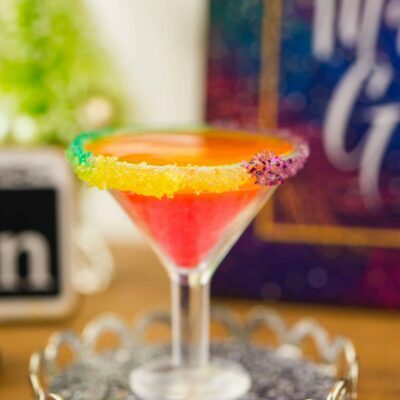 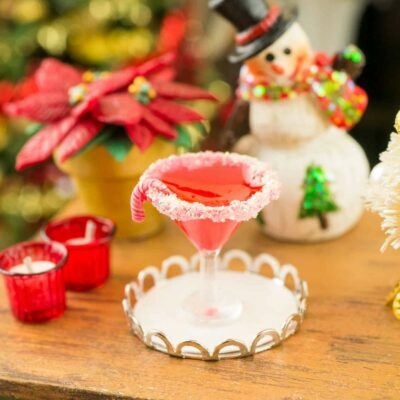 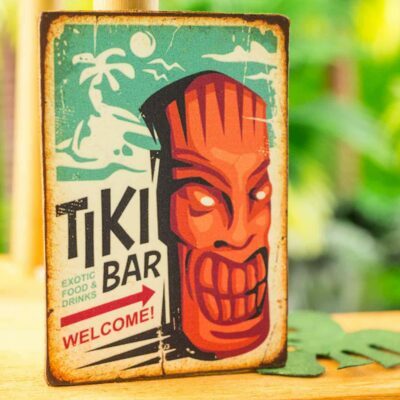 The margarita glass measures about 3/4″ tall and 1/2″ in diameter.